First off, an apology. 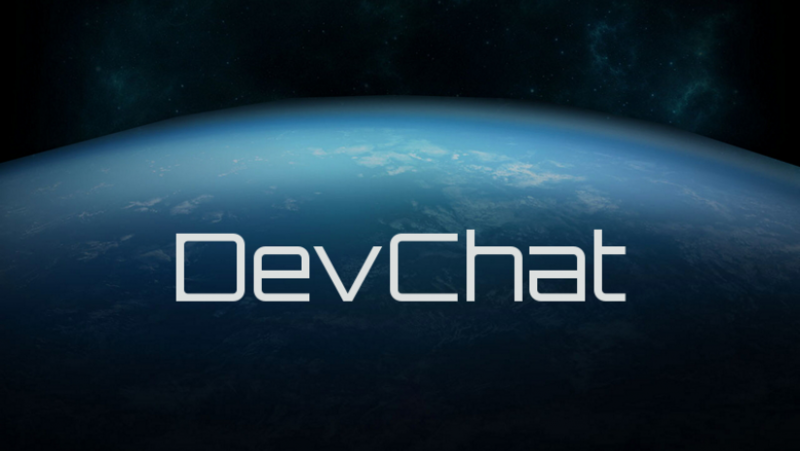 It’s been a while since the last episode of DevChat. That’s my bad. Real life came up, and had to be kicked repeatedly and put back in its box. Real life doesn’t get to get in the way of Star Citizen. Life and I understand each other now. CIG did an AMA on Reddit during this time, but that was it. The SH will have a better power plant than regular hornets, and CIG are looking into other weapon options for the ball-turret. (2:09:08 PM) CIG Matt Sherman: SH is still planned to have a better power plant setup compared to the other hornets. (2:14:35 PM) CIG Matt Sherman: We are looking at some other weapon-options for the ball turret, though we need to get them built out and tested before committing to anything being added in. CIG are still working on the exact controls and gameplay required for remote-operated weapons. (2:19:32 PM) CIG Matt Sherman: We’re still working on how the exact controls/gameplay will shape up for remote-operated weapons. (2:20:52 PM) CIG Matt Sherman: There will be some aspect of slaving to the pilot, but you wouldn’t really be using the weapons to full efficiency without someone specifically operating the weapons from a different seat/station. All of the Vanguards have an escape-pod. (2:29:18 PM) CIG Matt Sherman: The pods in each of the Vanguard variants serves as the escape-pod, even the Harbinger. (2:29:35 PM) CIG Matt Sherman: All 3 have the beds/etc on one half with the role-specific equipment on the other half of the pod. The Vanguard’s escape pods do have thrusters. Gun talk! Also, Ammo will be getting an overhaul for the new damage system. (3:38:14 PM) CIG Matt Sherman: The Mantis is already on-par to the GAU-8, technically a slightly larger barrel diameter even. (3:39:26 PM) CIG Matt Sherman: The DPS also went up because the base hull health and shield health went up, so it wasn’t just raised without any counter-balances. (3:41:19 PM) CIG Matt Sherman: Ammo is getting an overhaul when we get the new damage system out. It’s more an issue for how the ammo is connected to weapons currently than anything else. Mass Drivers will be getting a rework for functionality as well. (6:25:19 PM) CIG Matt Sherman: Mass Drivers are going to be getting a general rework for their functionality. Definitely a slower time between shots is the plan, and the Sledge 2 would get fixed once that’s all been setup right. Plasma weapons are different than laser cannons, and will be included eventually. (6:32:41 PM) CIG Matt Sherman: Plasma weapons are going to be different from laser cannons, but they still need some more aspects of their planned gameplay to be fully implemented. The Aurora CL’s cargo space comes in the form of a box that will mount to the outside of the ship. (5:55:37 PM) CIG Matt Sherman: The Aurora CL’s box would mount on the outside of the ship, it’s not interior-cargo space. Procedural Generation can be nice, but it can also be bland if not done correctly. It tends to work better when it’s controlled, and creating encounters, rather than environments. (6:03:11 PM) CIG Matt Sherman: Also, procedural content can be nice, but it’s not an end-all solution to content. It’s a lot easier to make bland procedrually generated content than compelling. (6:06:11 PM) CIG Matt Sherman: The best controlled and usable procedural content is just encounter generation. IMO, and from working with other procedural content systems, procedural encounters + hand-crafted assets gets the best bang for the buck, no procedural-visuals at all. (6:08:45 PM) CIG Matt Sherman: You would lose some of that ‘delving’ feel quickly because you’d start to notice the room-patterns and the architecture more. People will eventually get tossed around in ships. Maybe not a lot, but it will likely happen eventually. Explosions on the outside of a ship will affect the people inside it. Foundry 42 will be handling most of the Aegis ships. (5:31:26 PM) CIG Matt Sherman: Ya, F42 is mainly going to be handling the Aegis ships, we talked about it during RtV today. All Vanguards have escape pods, but the Warden’s is more robust, and will last longer. (8:06:38 PM) CIG Matt Sherman: Not really, a Warden and a Sentinel both explode, ejecting their pods. It’s just on the long-enough-timeline, the Sentinel pod will run out of air/etc before the Warden pod would. As more items and components get added to the game, what can interchange between ships will grow. (8:18:31 PM) CIG Matt Sherman: Any S4 mount can take a S4 gun, any Medium Shield Generator bay can take any Medium Shield Gen. There’s going to be plenty of parts that can/will go between ships as-is. Some talk about the Aurora LN’s weapon loadout. (8:29:10 PM) CIG Matt Sherman: The LN’s stock hardpoints are 2 S2, 2 S1’s. The S2’s can have gimbals mounted to run gimbaled S1’s. (8:30:19 PM) CIG Matt Sherman: There shouldn’t be any guns on the Aurora nose. 2 are mounted underneath on whiskers, 2 are mounted on the upper wings, and those are the S2 mounts. (8:31:38 PM) CIG Matt Sherman: It’ll most likely be getting some cleanup down the line. EWAR hacking will take time. You’ll have to spike the target (in a dogfight, likely), and then hack it. (3:48:44 PM) CIG Matt Sherman: EWar hacks would take time after you’ve hit a target with a dataspike since where the spike hits will change what part of the targets system you’re starting your hack attempt from. The bigger a ship you fly, the more crew / NPC’s you’ll need. Under-crewed ships will not be as effective as fully crewed ships. (3:58:20 PM) CIG Matt Sherman: @Wib: The full extents/limits of NPC crew hasn’t been sorted out yet. The bigger a ship you’re flying though, the more crew/NPC’s you need to get it operational, so while you may be able to have the scenario you describe, those ships would likely be running short-staffed to some extent and wouldn’t be as effective as fully crewed ships. The Reliant is a ‘starter’ ship, but it’s also not a ‘small’ ship. (6:59:58 PM) CIG Matt Sherman: Don’t expect Reliants to really fit on that many other ships. It’s a lot bigger compared to an Aurora or Mustang in terms of starter ships. Hull’s will not really be usable as pocket carriers. (7:09:59 PM) CIG Matt Sherman: Bulk-hauling, we’re definitely looking at ways for larger Hull-series ships to lock a ship in for transport, but that would more be locking the ship fully in place from point A to B and not something where you’d be deploying directly off the hauler ship. (7:11:49 PM) CIG Matt Sherman: The Idris would be able to launch/recover a few ships, but the full loadout/extent isn’t locked in. Unknown right now whether the Idris can launch Vanguards or not. (7:22:33 PM) CIG Matt Sherman: It’s unknown right now if the Idris can launch Vanguards. If you’re specifically only thinking about the Vanguards in context though, don’t expect anything cheap/easy to operate that can launch/recover multiple Vanguards. Keep an eye out… ArcCorp is going to start looking much shinier soon! (12:13:23 AM) TZurovec.CIG: Wait’ll you see upgraded ArcCorp…now with shinier pixels. (12:14:10 AM) TZurovec.CIG: Quite a bit of work is happening in ArcCorp/Area 18 right now…. (12:17:49 AM) TZurovec.CIG: Wait’ll you see ArcCorp 1.1…. Allowing people to mod and make their own ships will happen eventually, but it will be much more complicated than most people expect. Even skins for ships will be difficult to make. (1:56:20 PM) CIG Matt Sherman: Right now, players aren’t able to make in-game ships. We are planning to have modding guides as the game progresses further, but that wouldn’t be in the near future. (1:59:05 PM) CIG Matt Sherman: It’ll still take some time for people to get used to making content. Out ships are so complex in how they’re built/setup, it’s going to take a lot of work to make viable custom assets for the game that look right. (2:00:47 PM) CIG Matt Sherman: Even skins for our ships are going to be a lot more complicated than some people may think. The high detail on the models means more basic paint-over skins don’t really hold up as much. Here, Toast goes into a fair bit of detail about the current CCU system, and what happens to packages under it. Reliant will be able to haul some cargo, similar to what an Aurora can carry. (5:16:09 PM) CIG Matt Sherman: Ya, Reliant will be able to haul a decent amount, 2 of the more basic cargo boxes, similar to what an Aurora could carry. (5:16:22 PM) CIG Matt Sherman: What that exact number ends up being, we’ll know once the ship is actually built/flyable. CIG will not be Free to Play, it will be Buy to Play. (8:16:00 PM) CIG Matt Sherman: We’re not going to be F2P, just B2P. Big difference since new users will still be doing an initial buy-in. (8:18:05 PM) CIG Matt Sherman: There’s still going to be things sold post-launch, granted right now that’s mainly UEC and SP-driven expansions, but that’s something that Marketing will be solving, and probably as we get closer to a really completed game. (8:21:55 PM) CIG Matt Sherman: The guys working on the PU are taking these things into account with what they’re planning. We aren’t just selling UEC with no consideration on the impact or reprecussions. (8:22:17 PM) CIG Matt Sherman: But it’s also something far enough out in the future that it’s not worth troubling yourself worrying too much. The Connie’s rework is still ongoing to get it to be one of the first multicrew ships. (8:23:50 PM) CIG Matt Sherman: Constellation is going through its rework currently to be one of the first ships once we get multicrew flight in-game. Hacking gameplay is still a Work in Progress, but it sounds like different components of ships will be able to be hacked. (4:55:23 PM) CIG Matt Sherman: Ya, that’s a big part of what we’re working on. Making sure the different component types have appropriate gameplay to the components function. (4:55:39 PM) CIG Matt Sherman: So overtaking a Power Plant would be different than a Cooler would be different than an Avioincs kit. (4:56:26 PM) CIG Matt Sherman: That’s the other side of it, making sure the gameplay is fun for each type without becoming a development mess to accomplish. (4:57:19 PM) CIG Matt Sherman: There’s a difference between meaningful complexity that really adds to gameplay, and more arbitrary complexity for complexities sake, which can lead to more harm. The only way to ‘self-destruct’ an enemy ship will be to board it. You won’t be able to hack it from outside to blow. (5:00:41 PM) CIG Matt Sherman: It’s intended that if someone infiltrates your ship and sets a self-destruct that you will have a chance to react to that. (5:01:59 PM) CIG Matt Sherman: Not sure what you really mean Ash, but keep in mind, you MUST be physically EVA-on-site to the target ship to even have a chance of setting a self-destruct. (5:02:13 PM) CIG Matt Sherman: You will NEVER be able to remotely trigger a self-destruct system on another ship from range. (5:04:58 PM) CIG Matt Sherman: Also, for just 0-time blowing up a ship, that will probably be restricted to only something a ship owner could do. (5:05:21 PM) CIG Matt Sherman: So if you’re attacking another ship, there’s always going to be a timer, but if you blow up your own ship, that could probably be short-fuse. There will be plenty of customization for component tuning. (4:58:21 PM) CIG Matt Sherman: There’s going to be plenty of customization for component tuning, just not wanton overkill that makes it more a hassle to interact with. Unfortunately on Sep 10, my computer that gets these logs froze up, and I didn’t notice for hours. All of Sep 10 was lost, and most of Sep. 11 as well. I apologize profusely. Also, someone PM’d me on that day, but my computer had locked up, so I never saw the message, or who sent it, and therefore never replied, and for that also I apologize profusely. More talk about hacking! Lots of detail about EWAR and how hacking will work. (6:42:13 PM) CIG Matt Sherman: If you’re mechanically shutting down the component, they wouldn’t be able to turn it back on. (6:43:39 PM) CIG Matt Sherman: Ya, just because an attacker is targeting a power plant, if the defending pilot maneuvers to avoid that missile, it could just hit a cooler. (6:45:10 PM) CIG Matt Sherman: Especially on the bigger ships, you’ll be peeling the layers on an onion more than just one-and-done attacks. (6:49:46 PM) CIG Matt Sherman: M50’s would more be relying on Distrution Cannons and EMP-missiles than the hacking-aspects of EWar. (6:50:30 PM) CIG Matt Sherman: In general, the hacking-concepts are not being designed to be solo-pilot friendly. 2-man friendly, sure, but if you’re solo and in-combat, it’s not being made to be viable to hack. (6:51:26 PM) CIG Matt Sherman: EWar itself is more an extension of the overall Electronics/Avionics plans vs just being looked at as an isolated system. (6:51:53 PM) CIG Matt Sherman: Part of why we need our built out Scanner and Comms systems to really be setup before we can start locking down how jamming and data-theft actions would work. (6:52:49 PM) CIG Matt Sherman: Data-Theft/Info-Running will definitely be the most accessible actions for EWar though since you don’t need to spike a target. (6:53:05 PM) CIG Matt Sherman: Find a comm-relay, just start listening in and seeing what info of value passes through. (6:53:37 PM) CIG Matt Sherman: Then you need to have decryption suites on your ship. CIG did a stress-test of the PTU, but otherwise, nothing.